Figure 1Anteroposterior radiograph of the skull shows wide sutures. Figure 2. Radiograph of the hands in which radiodense lines are seen in the metaphyses. Basophilic stippling was seen on the blood smear. Levels of serum lead (Pb) and free erythrocyte protoporphyrin were 9.66 µmol/L (200 µg/dL) and 2.78 µmol/L, respectively. A cranial computed tomogram showed no abnormalities. At hospital admission, no cosmetic products were seen on the face; however, the mother did note regularly applying kohl, a Pb-containing eye cosmetic, to the infant's eyelids. Hypocalcemia was corrected with intravenous calcium gluconate, and chelation therapy with intravenous calcium sodium edetate was given for 5 days. The infant rapidly improved, and the serum Pb value dropped to reference levels over the next few weeks. The family was educated to avoid using Pb-containing products. Lead is a neurotoxic metal, and acute encephalopathy may be the first sign of Pb poisoning.1 The fatality rate is high, and survivors often suffer permanent neurological sequelae.2 Several cases of Pb poisoning from traditional Pb-containing medicine or cosmetics have been reported in developing countries.3 Kohl, or surma, is an eye cosmetic applied to the conjunctival margins of the eyes or, medicinally, to the umbilical stumps of infants in Middle Eastern countries. The Pb content is variable and may reach 91.8%. 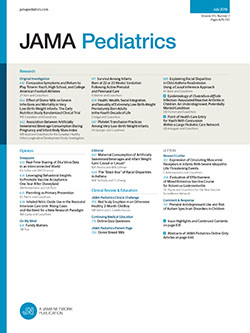 Lead ingestion from kohl may result from hand-to-mouth activities in children whose fingers are contaminated or from absorption from the nasolacrimal mucosa. The presence of kohl on an infant's eyelids suggests Pb exposure.4-9 Although washing off the product removes the characteristic dark staining, the product may remain on the conjunctival margins. The heavy metal coating of the palpebral edges is seen on radiographs of the skull. Specific treatment of Pb encephalopathy is by chelation therapy with dimercaprol and calcium sodium edetate. Corresponding author: Hassib Narchi, MD, FRCP, FRCPCH, Al-Hasa Specialty Services Division, Saudi Aramco– Al-Hasa Health Center, Saudi Aramco Medical Services Organization, Box 6030, Mubarraz 31311, Kingdom of Saudi Arabia (e-mail: hassibnarchi@hotmail.com).